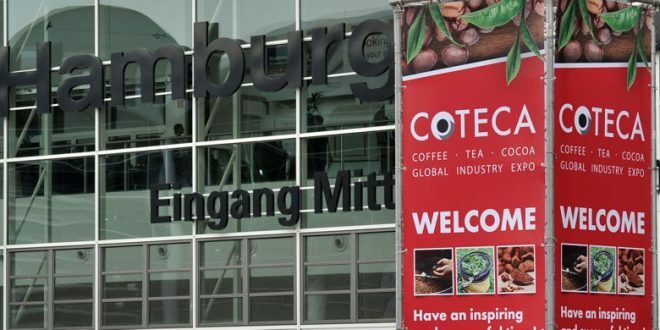 Hamburg, 31 May 2018 – It’s all about coffee, tea and cocoa at the major event in Hamburg from 10 to 12 October 2018, when the exhibition halls of Hamburg Messe host the 5th COTECA Coffee, Tea and Cocoa Global Industry Expo, Europe’s most important meeting for the industry. Some 200 exhibitors from about 40 nations will showcase their products at the international expo. International organisations such as Gebrüder Wollenhaupt, Tea Directorate Kenya, Blaser Trading, Frey + Lau, Hälssen & Lyon, OHKI, InterAmerican Coffee, and producers from El Salvador, Peru and Indonesia will use this platform for exchanges with visitors on the key industry subjects. COTECA presents the whole value chain of the coffee, tea and cocoa industries – from growing to trade, processing and blending right up to the final products, technologies and services. This comprehensive market overview is complemented by an attractive supporting programme, with professional coffee cuppings and tea tastings, workshops and presentations on specific topics. “Hamburg is Europe’s number-one hub for handling coffee, tea and cocoa. COTECA combines all three sectors again this year, for the fifth time, bringing together the international suppliers and buyers efficiently for a three day event,” says Claudia Johannsen, Business Unit Director at Hamburg Messe und Congress GmbH. 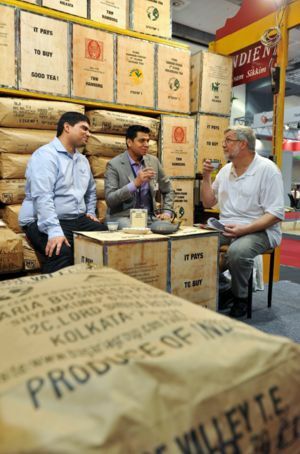 Alongside the products and services of the international exhibitors, cooperation with the Kaffee Campus of the German Roasters Guild will be held for the second time at COTECA, with numerous offers specifically for coffee roasters and coffee shops at the expo, rounded off by a range of practical workshops.